NordVPN is one of the most popular VPNs in the world, but the company that makes it hasn’t yet made an app specifically for Amazon Fire TV and Fire TV Sticks. Because Fire OS is a fork of Android, however, we can install NordVPN’s Android app on a Firestick with a bit of extra work. If you find it to be too much trouble, we’ll recommend a couple alternative VPNs that already make Firestick apps available on Amazon’s Fire TV app store. Before we get started, I’d like to point out a couple excellent providers that have Fire TV-optimized apps on Amazon’s Fire TV app store. Those are ExpressVPN and IPVanish. These don’t require any workarounds or special tweaks to get working, and they’re fully functional with just the Fire TV remote, so they’ll save you a lot of trouble. They’ll also get updates automatically. ExpressVPN, our top recommendation for Fire TV users, is offering Comparitech readers 3 months free here when you sign up for the annual plan, including a 30-day money-back guarantee. Or you can save 60% on an IPVanish annual plan with a 7-day guarantee. For this tutorial, however, we’ll show you how to install a VPN app that isn’t on the Fire TV app store. 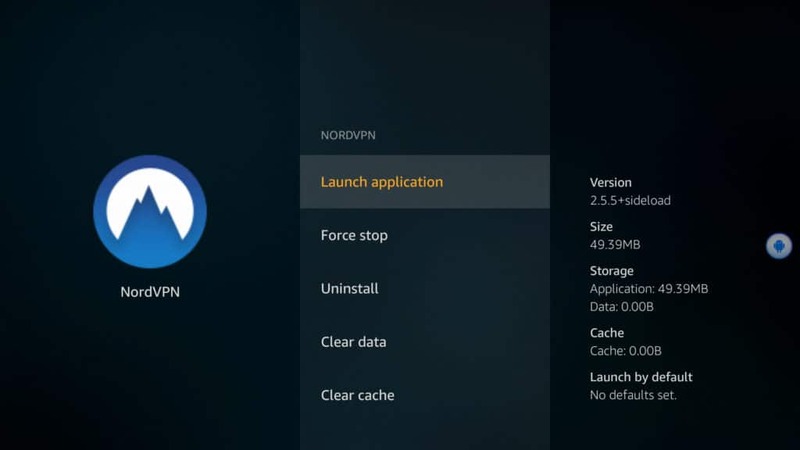 To demonstrate, we’ll be installing and using NordVPN, another great provider that hasn’t gotten around to making its app available directly to Fire TV Sticks yet. First you will need a subscription to NordVPN. If you’ve not yet signed up to NordVPN it runs a year round promotion here which includes discounted plans and a 30 day money-back guarantee. In this tutorial, we’ll show you how to install and use a VPN app on an Amazon Fire TV Stick. While the instructions feature NordVPN, you can use this to install pretty much any Android app not available on the Fire TV app store. To get started, you’ll need a second-generation Firestick or later. You’ll also need access to the APK file of your VPN app. This can be downloaded directly from NordVPN’s website. From the home screen, go to the top and choose Settings, then Device. 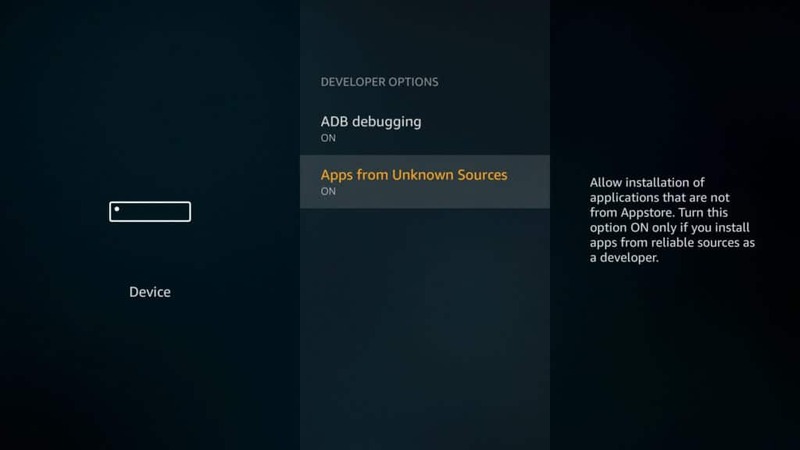 Go to Developer options, and toggle both of these settings—ADB debugging and Apps from unknown sources—on. Go back to the home screen and select the magnifying glass icon to search for an app called Downloader. Select “Get” and let the app install, then open it. Type in the download URL to the APK file. This can take a while to do with the remote. The actual download link for NordVPN is super long and contains tons of symbols, so instead, I’m going to go to a page that contains that link on NordVPN’s site, that way I can type in a much simpler URL. This will open up a rudimentary browser inside the Downloader app. Then I just find the download link using the directional controls on the remote and click on the center button to begin the download. When the download finishes, you’ll be prompted to install the app. Select Install, then Open. Once you’ve installed it you can exit Downloader. Because NordVPN is seen as a third-party app, it doesn’t show up on our home page or even our Apps page. Instead, you’ll have to go to Settings > Applications > Manage installed applications and select your VPN app from the list. 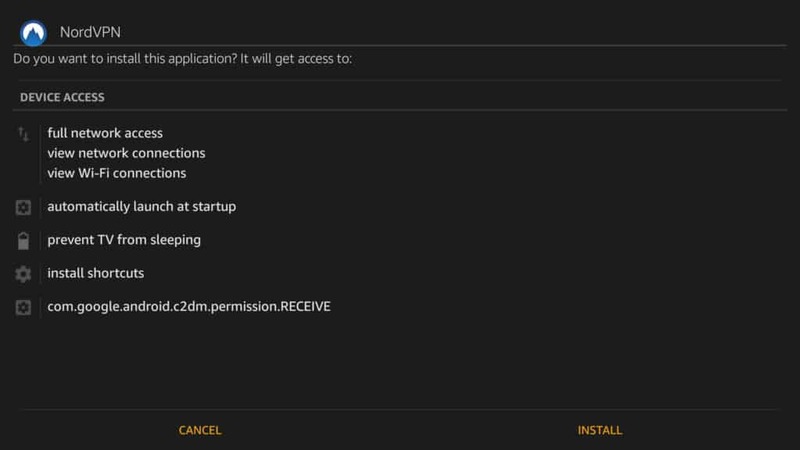 Then click Launch application. Now for some of you, that’s it. Depending on the design of the app and how it’s laid out, you might be able to sign in and connect right away. With NordVPN and many other VPN apps, however, that’s not the case. Trying to force the limited buttons on the remote to interact with a touch screen app is pretty much impossible. We’re going to need a mouse. You can use a Bluetooth mouse and connect it to your Fire TV if you have one. The other option is to use a smartphone or tablet to remotely control the Fire TV. We’re going to show you how to do the latter. Amazon has a TV remote app for Fire sticks, but it doesn’t give you mouse control. Instead, it just replicates the basic functions of the physical remote. 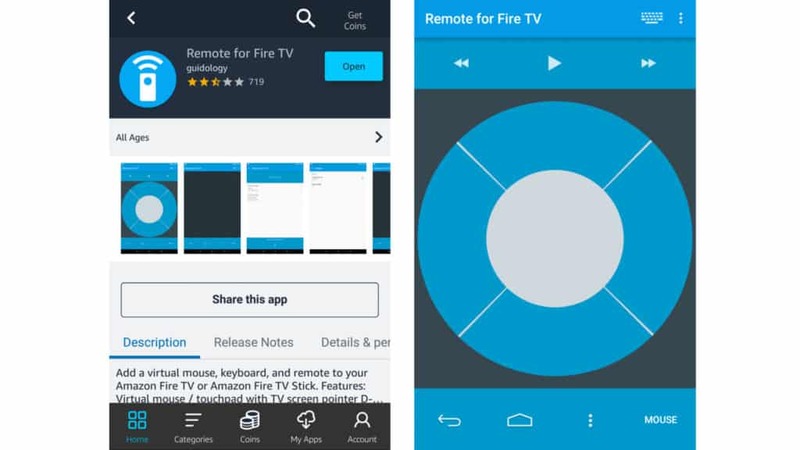 I tried a few different solutions for this and found the best option to be an app called Remote for Fire TV. The app costs $2 but was well worth the money spent. If you want a free option, you can try CetusPlay, which more or less does the same thing and is also available on the Fire TV app store. However, while I could control mouse movements with CetusPlay, I couldn’t get clicks to go through. Your mileage may vary, so I encourage you to try CetusPlay first if you want a free option. 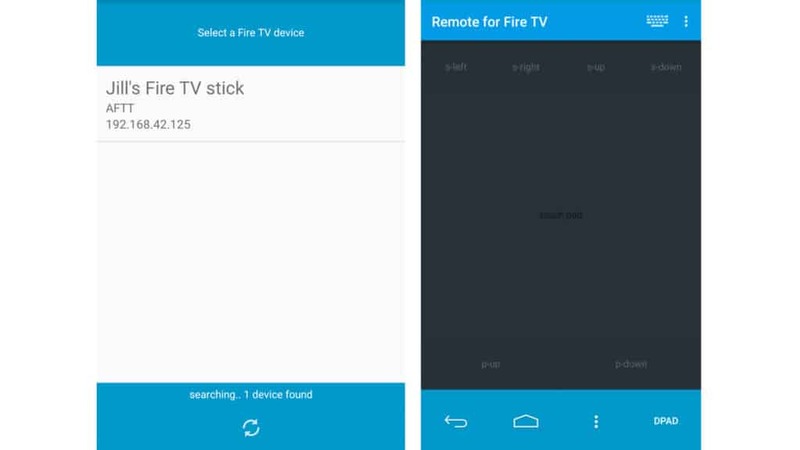 In this tutorial, though, I’m just going to use Remote for Fire TV. Both Android and iOS versions are available. So, you’ll need to get this app on both the Fire TV Stick and on your Android phone or tablet. The Android version is only available from the Amazon app store and not Google Play. Note that the developer does make a similar app for Android TV devices and it has the same icon on Google Play. This is not the correct app. 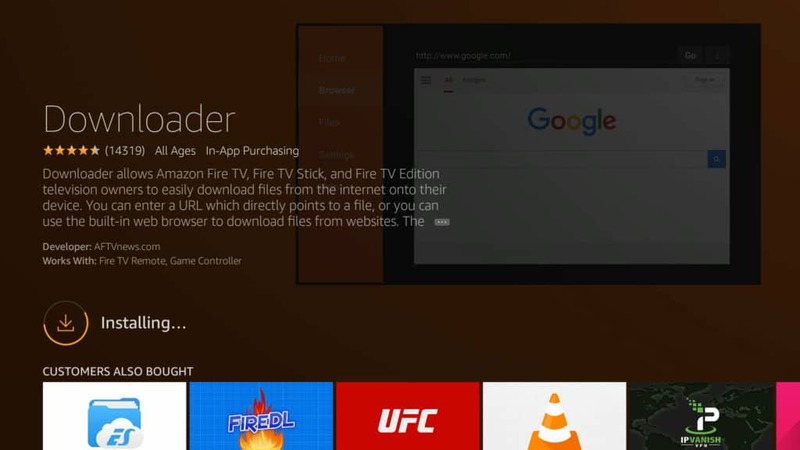 You’ll have to install the Amazon App Store app on your Android device to get the one specifically for Fire TV. So long as you’re only using one Amazon account, you only need to purchase it once. I didn’t test the iOS version, and it has a 1-star review as of time of writing, so proceed at your own risk. To its credit, some of the reviews say it works. Unfortunately, it looks like you’ll have to purchase it both on your Fire TV and on the Apple App Store, which seems to be a cause for frustration among reviewers. Once you’ve installed the app on your Fire TV, open it and make sure the first item is toggled on, and the second to start the app on boot is optional. You should see a status indicator near the bottom that says “Started”. No other action needed here, the app just runs in the background. Make sure the Fire TV Stick and the second Android device are both connected to the same wifi network. You can then find your Fire TV Stick in the phone or tablet app to connect to it. Then you can click the Mouse option and use the screen of your phone like a touchpad on a laptop. Just tap the screen to click. To scroll use the s-up and s-down buttons. 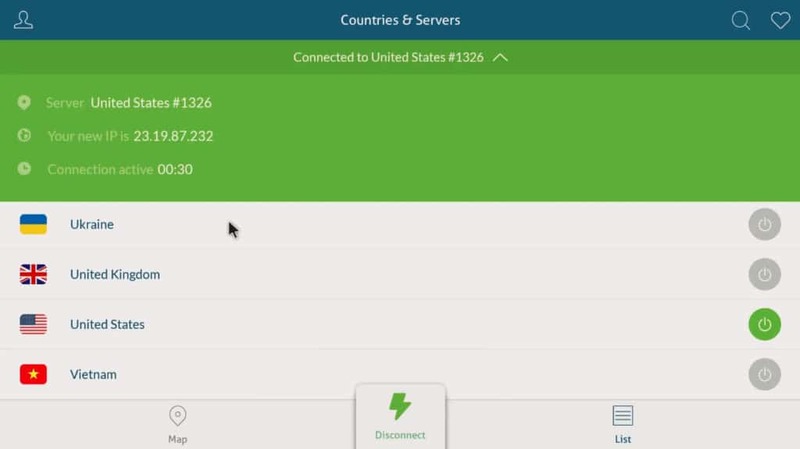 Now we can open NordVPN back up and use it from the remote app. For Nord, we just click the person icon to get to the sign in page and enter our credentials. Then we can select a location and connect to it. The first time you do this, you’ll be prompted to allow the app to connect. The connection should remain active until you power down the device or manually disconnect. And that’s it! Your Firestick is now using a VPN. 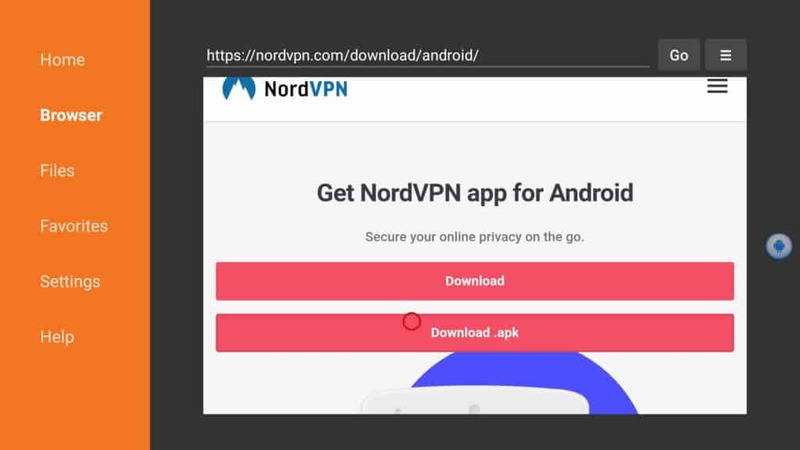 Only download NordVPN’s APK file from the official website. As with most Android apps, you can find APK files from third party app stores and APK websites. We advise against downloading APK files from these websites because they were not put there, in most cases, by the official developer. There is often little vetting done in order to ensure APKs from third-party sites are secure. As such, unofficial APKs can be modified to carry malware or perform malicious tasks once installed on your device. To play it safe, only download APKs from the developer’s website. Because the app was installed from an “unknown” source, it won’t receive automatic updates. You’ll have to monitor updates yourself and run through the installation process again with the new APK when you want to update. The only difference is that instead of an “install” button, you’ll see an “update” button. The rest is pretty much identical. If you use a first-generation Fire TV Stick, the VPN app will not work. You might be able to install the app, but it won’t stay connected in the background once you leave it. You must either upgrade your Firestick or employ a VPN-compatible router. If you’re not sure, check the FCC ID number located on the Firestick itself. First-gen sticks have the number 2ABDU-0509. By configuring a VPN on your wifi router, all the devices that connect to it will have their traffic tunneled through the VPN server. But most routers don’t support VPNs by default. You’ll need a router firmware that’s compatible with VPNs, and a router that’s compatible with that firmware. Check if your router model is compatible with Tomato or DD-WRT firmware, both of which support VPNs. Other possible alternatives include OpenWRT and AsusWRT. Check out our lists of the best VPNs for DD-WRT and the best VPNs for Tomato routers to find recommendations and helpful setup instructions. thank you, helpful video tutorial. Just now set up nord on my fire stick. Everything looks fine, without issues 🙂 quite easy to install, friendly interface and fast connection. Had a Chat with NordVPN and there is now a app in Amazon Store. Just search on your FireTV. First delete current NordVPN app and then install the one from Amazon Store. Looks great and easy to control. Worked on my FireTV 3. Did you figure out how to sign in rather than create a new account? HELP!! I downloaded everything. When I clicked launch, it opens up to the blue screen with the mountain image but won’t go past that. What can I do? Not sure, it should load up a map with server options eventually. I can’t get to the sign in bar. I can click all over the place but there. Nordvpn gave me 3 day trial. I can’t try it (and they don’t actually support fire TV). Thank you Paul, you always give me very useful ideas. I got NordVPN after your recommendation and have to admit am satisfied now. I am able to get all the way through to the vonnection request to activate the vpn. Unable to use the mouse to click the ok button. Any help? CetusPlay worked flawlessly! Must’ve done an update. Thanks for the great walkthrough! There’s no status indicator like on a phone or computer. If you have Fire TV Stick 2nd-gen or later, it should stay connected. Mouse function is greed out and doesn’t work. Everything was great up until I tried to click ‘sign in’ on the app, it by default brings me to a create account page, which there appears to be an ‘I already have an account’ text that I anticipated being hyperlinked in some respect that I also cannot click, it just opens the keyboard to enter an email to create account. Any tricks to ensuring I can land on a log in page instead of only options to create? Did you figure out how to sign in rather than create an account? Just to say this worked and I’m grateful for your knowledge and expertise. I have a 2nd Gen Fire TV stick which was slightly tricky to install the App and then controlled the App through my Fire tablet. I tried it and didn’t work. I logged in, add my details, chose the server, and it connected easily. However, it doesn’t actually work. Once I connected to NordVPN IPTV provision stopped as it could not connect to the web. Disconnected from the VPN and everything worked again. Hi Paul, This is usually an indication that you’re using a first-gen Fire TV stick. You need 2nd-gen or later.